Diabetic Ketoacidosis – while it may be one of the only things to rhyme with supercalifragilisticexpialidocious, this serious condition needs immediate attention and more than just a spoonful of sugar for treatment. In fact, your sugar levels can get dangerously high when ketones build up in your blood stream. The body creates ketones when it uses fat cells for energy instead of available glucose. It is normal to produce some ketones, especially if you are aiming to lose weight. But if you test positive for ketones and have at least two or more high blood glucose readings within two hours, it’s time to call your doctor. What are the causes and symptoms of Diabetic Ketoacidosis (DKA)? DKA happens when your body cannot get access to glucose as source of energy because there is little or no insulin available. Your body then breaks down fat instead for fuel. They byproduct of this process are ketones, an acid which can be poisonous in high levels. You are also more likely to develop DKA if you are stressed or have an infection. Ketones can be tested through urine on a special strip. You can ask your doctor which ketone test they recommend, but depending on your region an over-the-counter ketone test kit can picked up from your pharmacist. Read the instructions for the ketone test kit you choose. In general, you can urinate over the test area of the strip or collect your urine in a clean container and then place the test area of the strip into the cup. The strip will change color based on the level of ketones in your urine. The ketone test kit will include a color chart to compare your results and find the range of ketones present. In most cases the development of DKA progresses slowly. If you experience any vomiting, it may be a sign DKA will progress more rapidly. Symptoms include extreme thirst or dry mouth, increased urination, high blood glucose levels, and high levels of ketones. How is DKA treated? DKA can be treated by additional doses of insulin. Get in touch with your doctor or diabetes educator to know how much insulin and which type to administer. 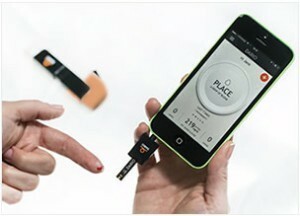 You can use your Dario to easily share your recent blood glucose reading with your healthcare team. It is also recommended to drink plenty of water to help flush out the ketones from your system. In more serve cases of DKA, you may need to be hospitalized and given insulin and intravenous fluids. Your healthcare team will also monitor your electrolytes and monitor your brain for signs of swelling. How can I prevent DKA from happening? DKA mostly affects people with Type 1 diabetes but can happen in rare cases to those with Type 2 diabetes. To keep DKA from occurring, make sure to test your blood sugars regularly with your Dario and don’t skip insulin doses. Test for ketones if you have extremely high blood glucose readings or if you are fighting any illnesses or infections. Avoid exercise if your blood sugar is high and you are positive for ketones. It is also recommended to drink lots of water when you are having high blood sugars. Diabetes UK (2016). Ketone Testing. ADA. (2015). DKA (Ketoacidosis) & Ketones. Joslin Diabetes Center. Ketone testing: what you need to know.